PRICE REDUCED and your search is over! 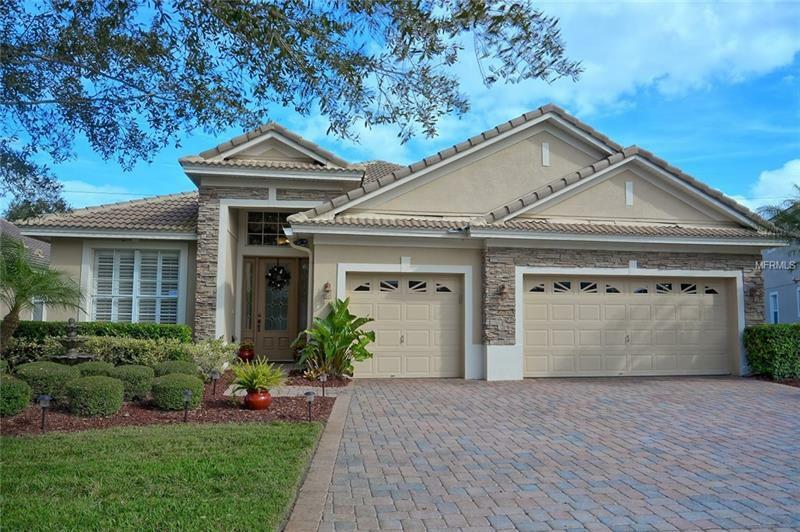 Perfect opportunity to own in this luxury gated community in Lake Forest with 24/7 Secure Guard! This immaculately maintained features 4 bedrooms 3 full bath and 3 car Garage with paver driveway and patio. This home has a new AC upscale barrel tile roof new water softener laundry room with sink custom 42 inches dark cherry cabinets granite counters new faucets new planation shutters and door knobs. This home has a beautiful split floor plan and overlooks the massive family room and perfect for entertaining. Lake Forest is one of Seminole County's top community and is known for it's tree-lined streets. The complex provides as infinite array of amnesties including a 10000 ft. clubhouse kayaking and canoeing. Easy access to I4/417 Colonial Town center Seminole Town center restaurants and top rated schools Call today for a private showing. The property may under audio/ visual surveillance.